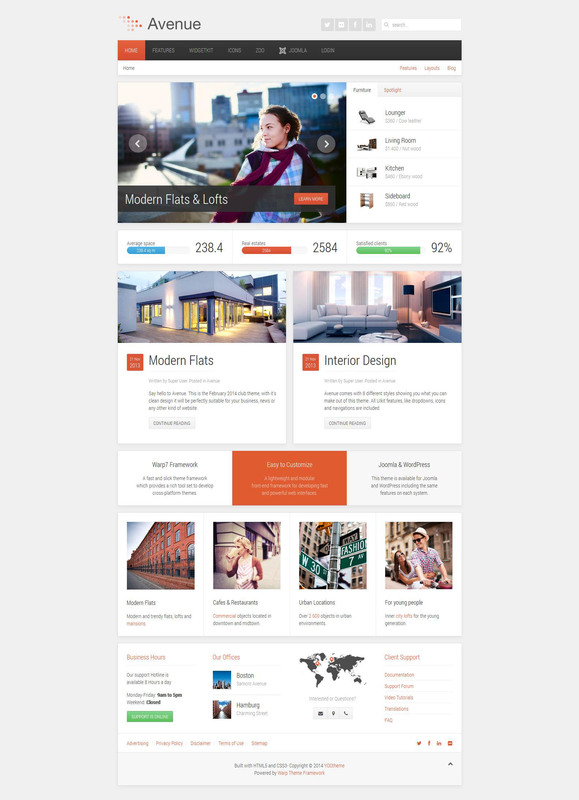 YT Avenue - a beautiful pattern of professionals from YooTheme, which supports the latest version of Joomla. Modern and stylish design theme contains eight integrated color schemes, perfectly suitable for the development of fashion sites on different subjects. Layout is based on the Warp 7 - a powerful updated framework, which together with the tool UIkit, complement's essential elements. Template YT Avenue optimized at the highest level, making it a good cross-browser and displayed on the plates. Using this template, you can create the most original and quality website that will not pass any user.